How can conservation, tourism, research and community engagement work in partnership to help save sharks and rays? Earlier this week, federal fishery managers imposed emergency measures on the California drift gillnet fleet to protect endangered sperm whales. The action came two years after a pair of endangered sperm whales were killed in a single gillnet in 2010 in deep water west of San Diego. The new measures from the National Marine Fisheries Service require that the swordfish fleet stop fishing for the season if a single endangered sperm whale is seriously injured or killed in a gillnet. All gillnet vessels that fish in deep waters (defined as 6,500 feet) must now carry on-board fishery observers at all times; before now, less than 20 percent of boats carried observers. And, for the first time, the gillnet fleet will be fitted with mandatory vessel monitoring systems that track the locations of every boat. While these protections may prevent sperm whale deaths in the short term, the new regulations do little to stop the ongoing capture and accidental death of 130 or more other whales, dolphins, sea lions, and marine animals in the gillnet fishery every year. During the past decade, more than 1,300 whales, dolphins, and turtles drowned after getting tangled in California’s large-mesh drift gillnets. More than 100,000 giant ocean sunfish and 10,000 blue sharks were also caught and discarded during the last 10 years. CITES plenary today accepted Committee recommendations to list five species of highly traded sharks under the CITES Appendices, along with those for the listing of both manta rays and one species of sawfish. In just a few weeks the fate of vulnerable shark and ray species including the beloved Manta Ray and Hammerhead Shark will be decided by CITES authorities. The 16th meeting of the Conference of the Parties (CITES CoP16) to be held in Bangkok, Thailand from 3 to 14 March 2013 offers an unique opportunity to secure trade protection for the most vulnerable species. We can’t let these magnificent creatures disappear on our watch. CITES delegates need to hear loud and clear that we want them to vote YES for sharks and rays. Extinction is NOT an Option. Take Action! Sign the Petition – Join more than 120,000 concerned citizens who are urging decision makers to protect sharks. Sign the petition and ask your friends, family and colleagues to do the same. Send a Letter to CITES Leaders – All you need to do is fill in the form and hit the send button. The letter asking CITES delegates to vote YES for sharks and rays will go direct to those who could make all the difference in just one click. – Add the #CITES4SHARKS Twibbon to your Facebook or Twitter profile picture. Whether you like sharks or not, saving them from becoming extinct is vital. The loss of sharks threatens the stability of the marine environment, and also threatens the socio-economically important recreational fisheries. Sharks have been waiting a long time to get the protection that many terrestrial animals have received from CITES. They can’t wait any longer. Populations of several shark species have been decimated by over 95% and experts estimate that most of them will be lost within a decade if we don’t take urgent conservation measures to protect them from over-exploitation, including targeted fishing, bycatch and finning. With your petition signatures in their hands, the Project AWARE team who has been campaign for better shark protection for years is ready to represent your voice and demand that sharks and rays receive trade protections they desperately need but they need your support. The time to protect sharks and rays is NOW! Giant manta rays hit the ocean headlines today with the news that they are to gain their first ever global protection from the many problems they face. Manta Ray of Hope – Teaser 1080p from Blue Sphere Media on Vimeo. Giant mantas (Manta birostris) are to be added to the Convention on Migratory Species (or CMS), an intergovernmental treaty set up to help get nations working together to conserve the endangered animals that roam around our planet, ignoring the political boundaries we set up. 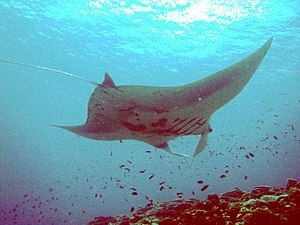 The biggest threat to mantas is fishing. They are enormous and like to hang in predicable spots, making them an easy catch. And fishermen are increasingly targeting them to feed emerging demand from the traditional east Asian medicine trade for manta ray gill rakers – the comb-like structures inside their huge mouths that sieve tiny plankton food from the water column. (Find out more about that in an interview with Andrea “Queen of mantas” Marshall on the Naked Oceans podcast). All nations signed up to the convention that are lucky enough to have manta rays gracing their waters, will now have to make concerted efforts to protect both mantas and their critical areas of habitat. 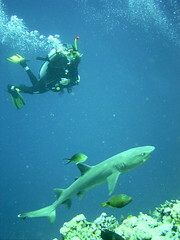 CMS listing will also spearhead international efforts to protect these giant cousins of sharks. 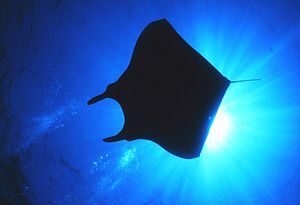 Currently mantas are protected by national laws in a number of countries including Hawaii, Maldives, Philippines, and Ecuador. But being such immense swimmers, they often migrate into unprotected waters. The CMS listing for mantas was announced at this week’s conference of parties in Norway. Sonja Fordham, president of Shark Advocates International, was there to represent a clutch of conservation groups that support the manta listing. It was announced a few weeks ago that the giant manta has been listed by IUCN as Vulnerable to extinction. Aquaman and the Dolphins – what’s the truth? 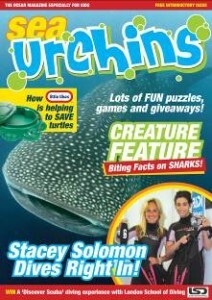 New Sea Life Mag for Kids! Subscribe Now!